The BIOLOID STEM Standard Robot Kit is designed to teach students about Science, Technology, Engineering and Math by building several robot projects. 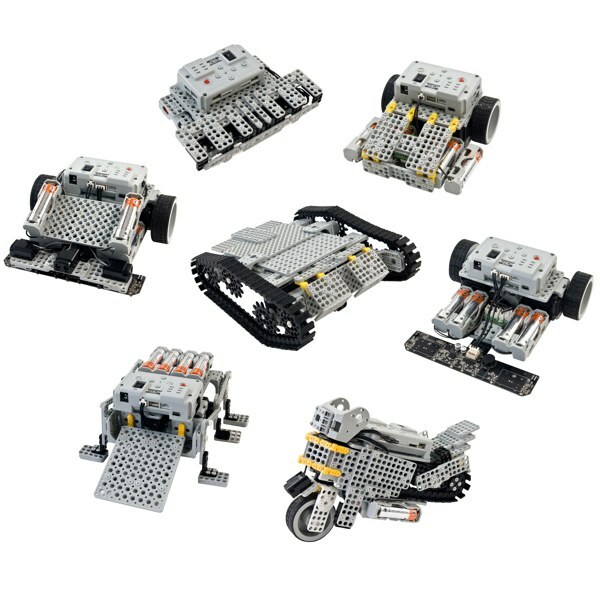 This BIOLOID Robot Kit is a construction set that includes various parts that used to build and rebuild a variety of robotic projects. 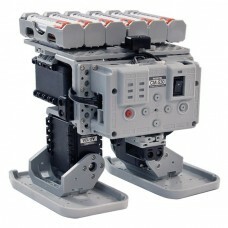 The kit includes a fully programmable Robotis CM-530 robot controller for the robot's brain, a pair of Dynamixel AX-12W Robot Actuators for the muscle and IR infrared sensors to provide perception. A collection of additional parts allow building robot frame structures and a battery box provides the energy to make the system work. The BIOLOID STEM Standard Robot Kit comes with two curriculum guides and a software CD for a comprehensive STEM education platform. Robots are the future and we believe everyone can benefit from learning how this fascinating technology works.